Don’t you love when you go to a thrift store and find a great deal on a solid wood piece of furniture? 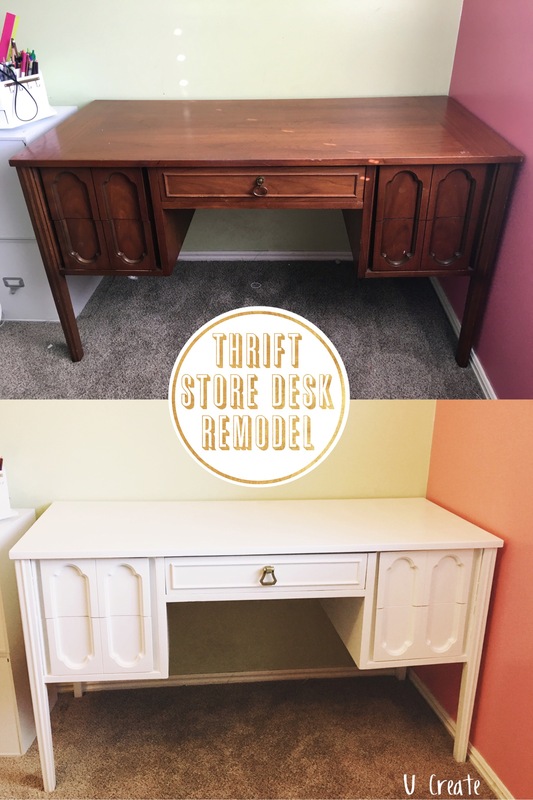 I scored this desk for only $30 and love all of the detail on the drawers! Voila a new project for my craft room. 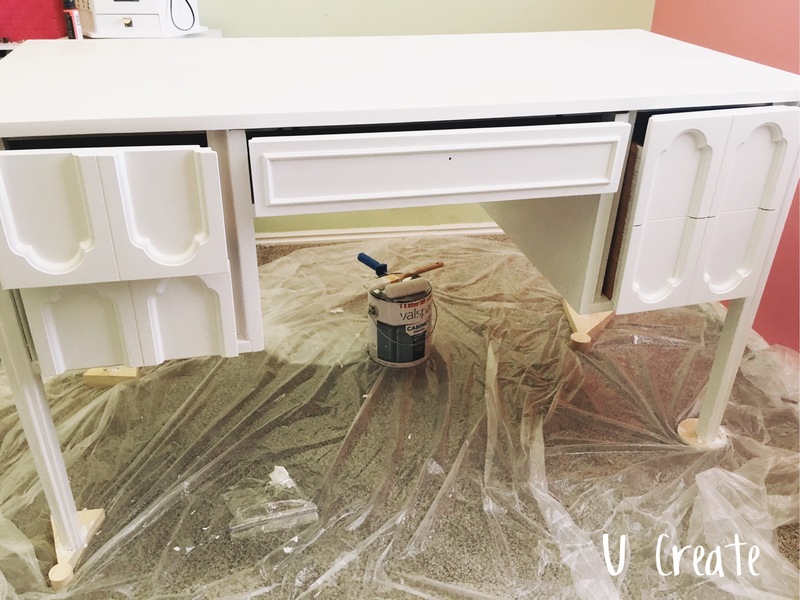 I had some Valspar Cabinet Enamel paint left over from my kitchen cabinets and decided to use it on this desk remodel because I really didn’t want to sand and prime. I wanted to make this as simple as possible! I removed the hardware and wiped down the desk with a mild soap and warm water. 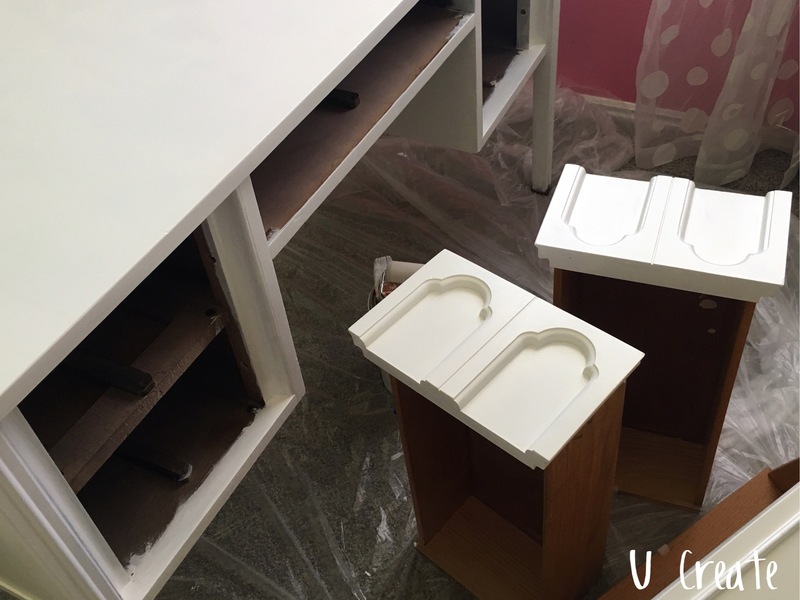 Next I painted two coats of Valspar Cabinet Enamel paint in the white color Du Jour. Now, the thing about this paint is it takes a little longer to dry than some other paints and that is the trick. Let each coat dry completely. 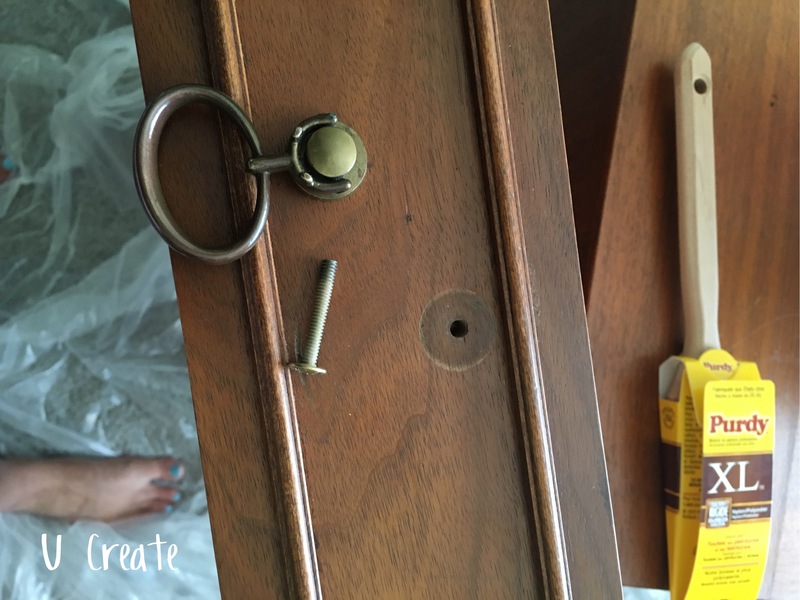 I added on this beautiful, gold knob I found at Hobby Lobby for about $3! 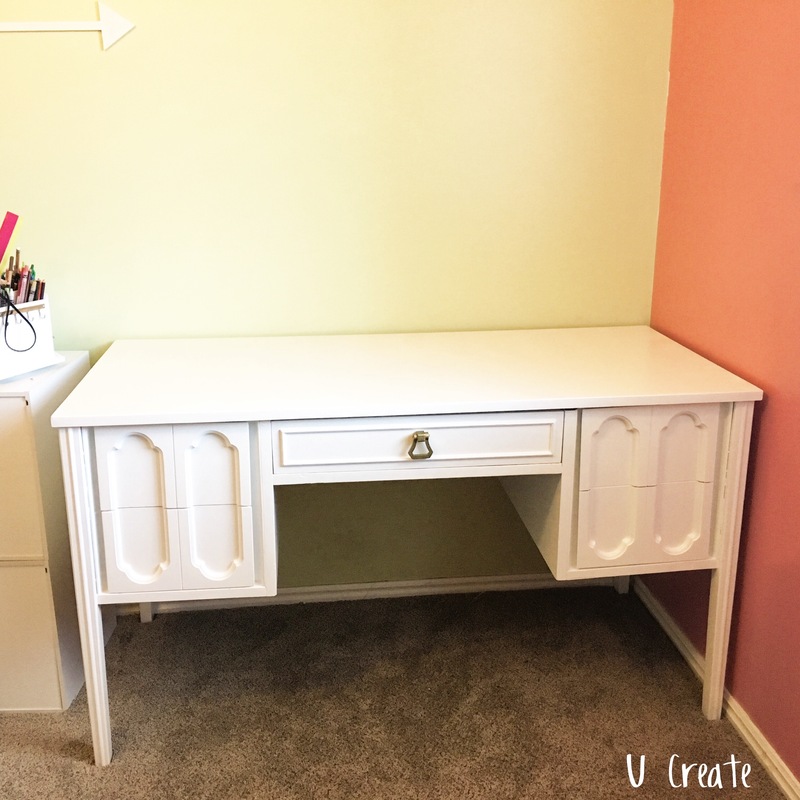 I love the finished look and can’t wait to fill the draws up with my drawing supplies and start creating! 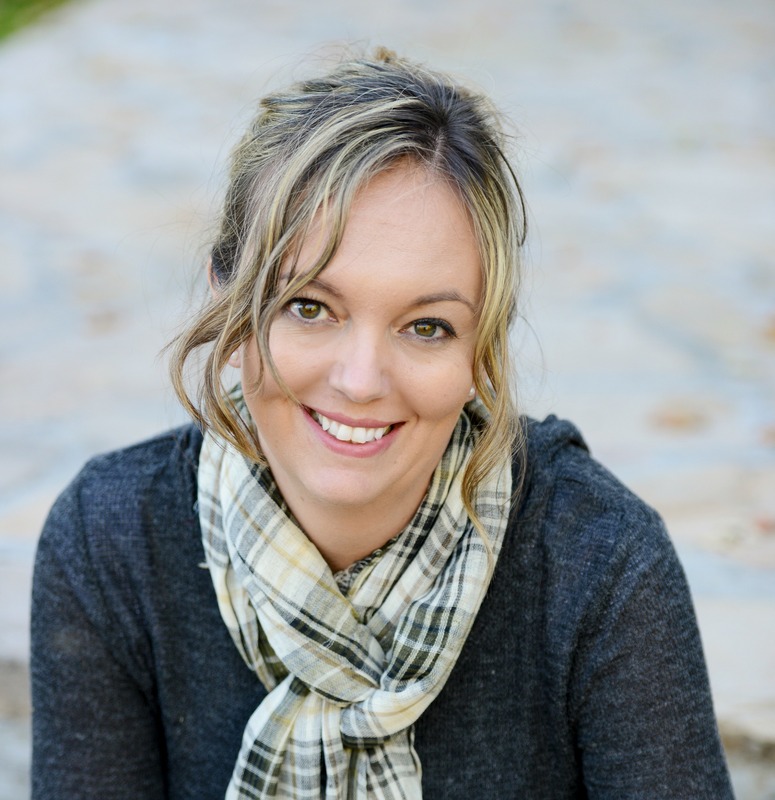 Fabulous job Kari! I love the style and how beautifully restored it is. Thanks Renee! This is one of my favorite projects! 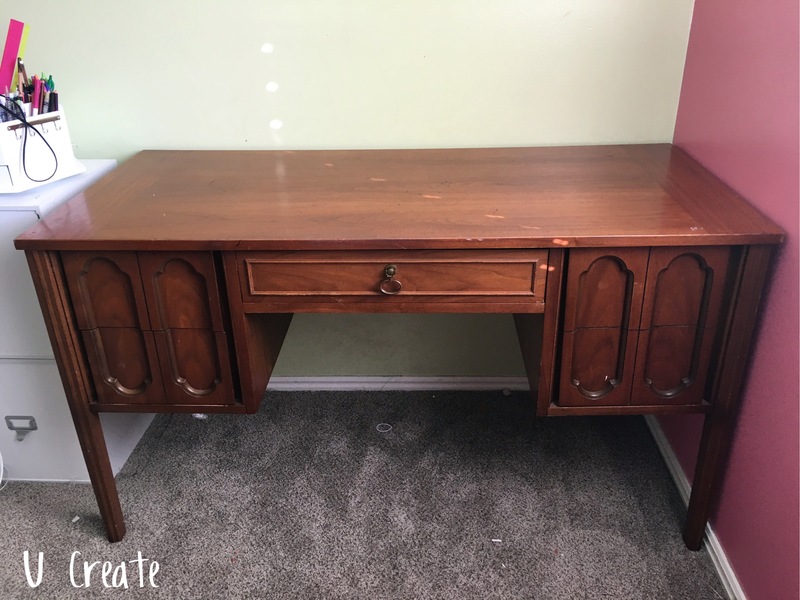 The desk is beautiful! You inspired me!! !